I was recently contacted by Björn Wigeman who is head of international development at Veosearch - a charity search engine that has just launched in the UK. They are trying to encourage people to use them as their regular search engine in order to give some money to charity as they search. Since I wasn't familiar with them, I had a quick chat with Björn and put together the following interview to give everyone a little background. 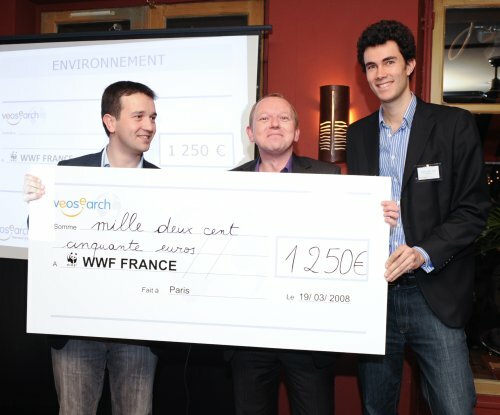 > Guillaume and Arthur started VeoSearch just about a year ago because they wanted to help the voluntary sector especially within Sustainable Development. Their goal was to create a benefit for charities and NGOs through people's everyday activities whilst being free and open to everyone. Where does the money go - what proportion do you manage to give to charities and how are those charities chosen? > In the UK, we are currently working with around 50 charities (British Red Cross, SOS Children's Villages, Care International, Fairtrade Foundation and many more). Every user chooses itself which charity or charities he/she wants to support. For each search he then makes, 50 % of the revenues goes to that or those charities. Which search engine powers your results by default? Which do users use the most? > We have recently gone into an exclusive deal with Yahoo. They understand our values and the deal really benefits us and our partner charities. The results our users get from searching on our site is the best there is. > As we are a start-up still, we can't afford such luxury yet. By letting our partner charities post information on us and cross-link to their websites, we hope to drive more trafic both to them and to us. What other marketing do you do - do you run PPC advertising? Across which countries? Is there anything else you can tell us about this? > On our site, we use the same sponsored links as Yahoo, but other than that we don't drive any online marketing at the moment. We want this to spread organically and are working close to the media. What growth have you experienced and what are your ambitions for what happens next? How big do you think your search engine could become? > In France we have become market leaders within 5 months. For our launch in the UK, we expect to grow even faster. Other search engines working for charitable causes in the UK are powered by weaker search engines and people seem to leave them to return to their usual search engine after a while. If we keep on growing as we've had so far, the sky is really the limit. It's going to be interesting to see where Veosearch goes - we'll have to watch out for them in our analytics and the analytics of our clients. I wish them all the best and look forward to hearing an update later in the year.